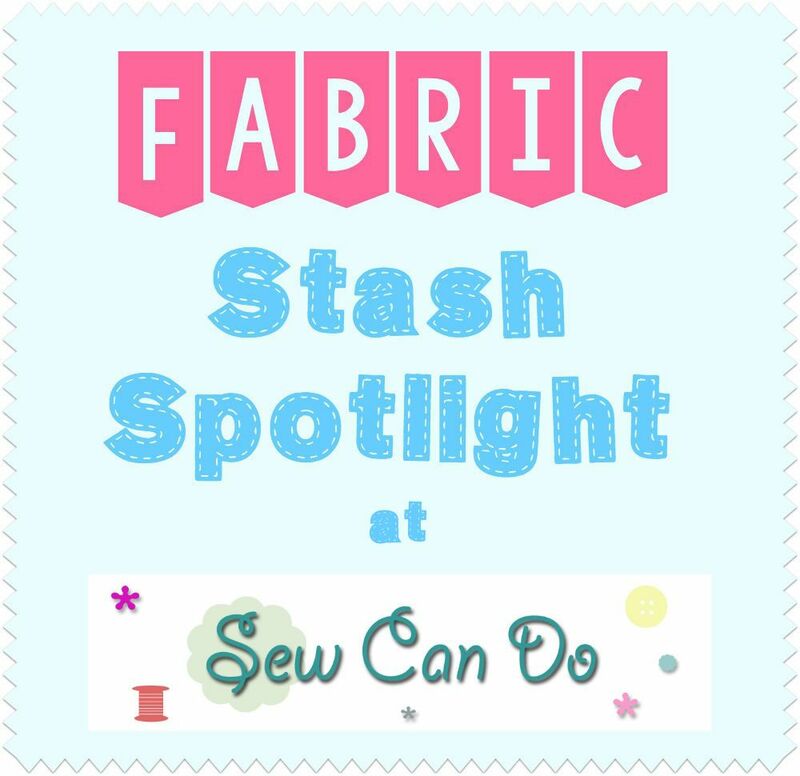 Today kicks off a new feature here at Sew Can Do: Fabric Stash Spotlight. We're all big fabric lovers so I thought a regular fabric feature would be fun to do & a great way to share knowledge. ~ What it's made of? ~ Properties like stretch, thickness, etc. I've amassed an enormous collection of fun & fabulous fabrics over the past couple of years, but a lot of these beauties are still folded waiting to be used. Sometimes they get forgotten about because they're tucked away or (and I'm sure I'm not the only one here), I've been hoarding/saving them because I love them but just haven't found the perfect project. Now, on to today's Stash Spotlight. It's a.....MYSTERY fabric! That's right, sometimes I'll need your help figuring out fabric too;) Today's feature is something I picked up and have a lot of hands-on experience with, but I don't know what it's actually called. I'd love to find out because I have GOT to get more, so let's see if you can help solve the mystery! 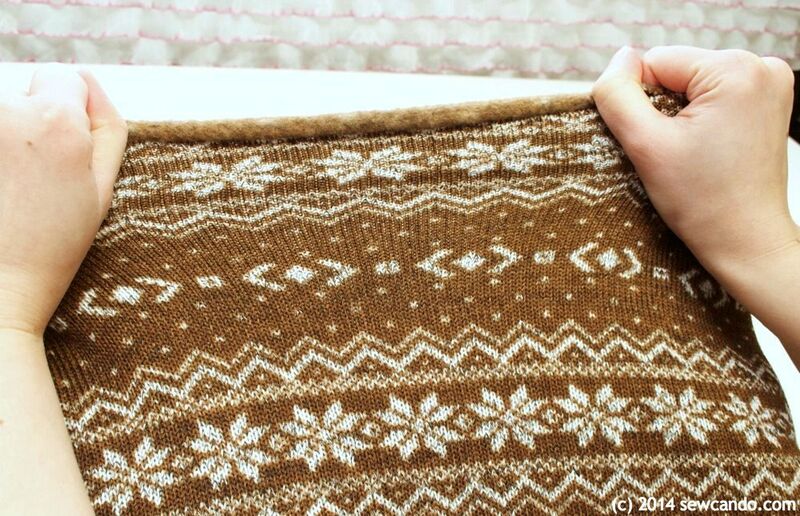 Both are sweater knit on the right side, but on the wrong side are bonded with a layer of fleece. It appears to be a yarn blend (cotton/acrylic?) on the sweater side and then polyester fleece on the back. It's got the same thickness as usual fleece and a similar level of two way stretch along the cross grain (selvage to selvage), with a little give on the lengthwise grain (aka top to bottom). It's also got a super generous 62 inch width which makes it so versatile. Since this fabric has a built in fleece-y back, making use of both sides is ideal. - With hemmed edges it's great for hats, scarves, mittens and one layer throws or blankets. - Clothing like tops, dresses and leggings are perfect ways to use it. 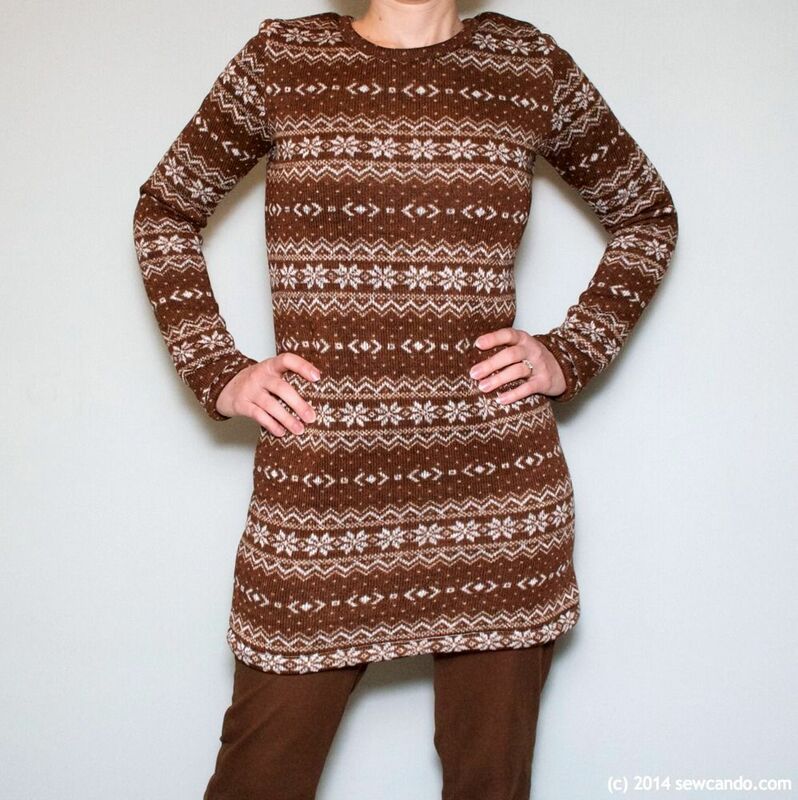 It has all the warmth and comfort of a heavy sweater, but without the bulk and is much more flattering to wear. - This fabric sews a lot like traditional fleece so I'd recommend a ball point needle or using a heavy duty needle if sewing through 3 or more layers. - A walking foot isn't necessary, but it does make it easier to keep it from stretching or shifting while sewing layers. - Unlike fleece, since there's actual sweater knitting & threads, this does fray, so I recommend encasing raw edges on hems and trimming with pinking shears or serging for inside seams. 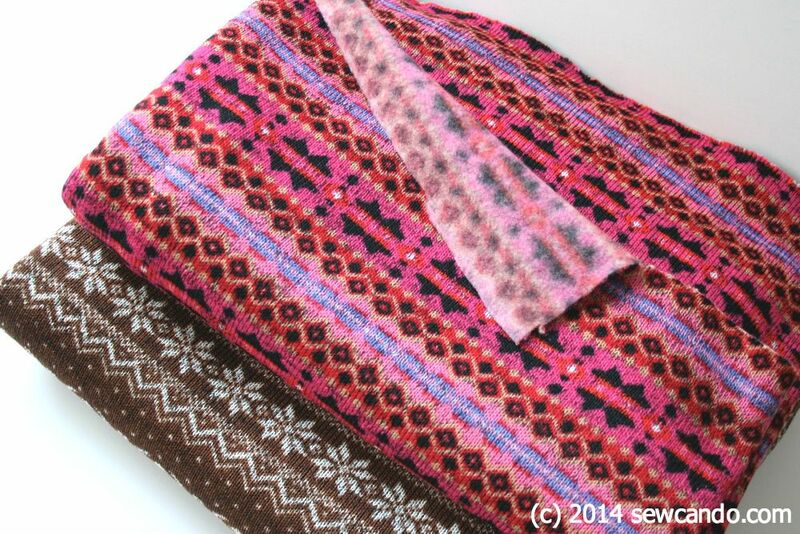 - If using it for clothing, use knit or triple stitch on your machine or serger for seams. - I've been washing mine on cold and line drying and it comes out beautifully. I found this fabric in Ontario, Canada at Fabricland, Canada's main fabric store chain last summer. They don't offer fabrics on line, but I've found some real gems whenever I visit. 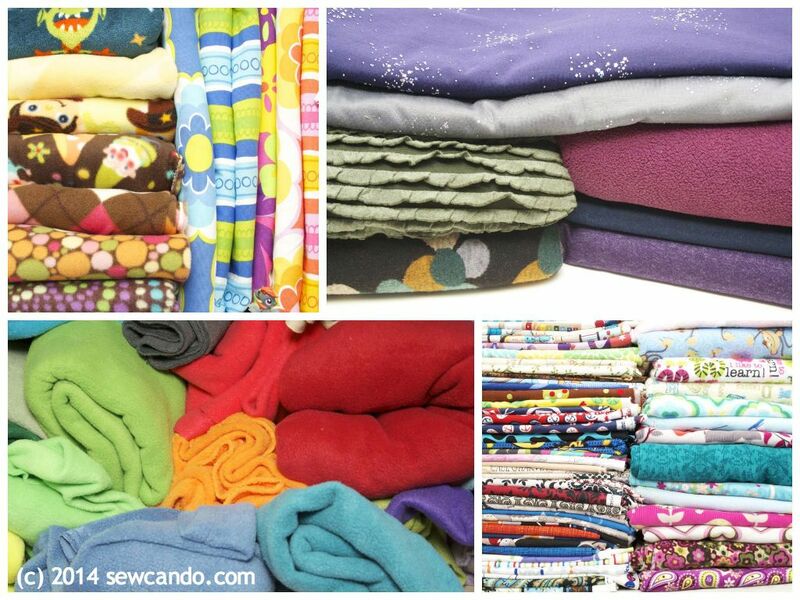 The prices for apparel fabrics are ridiculously cheap and they have a huge variety. But look out on the quilting cotton & standard fleece - the prices for those are bizarrely high. I got these sweater knits for around $7/meter. I love that you even score a couple of extra inches thanks to the metric system! I searched online to try to find this fabric with no luck, partly because I don't know what it's "official" name is, but I'll keep looking. 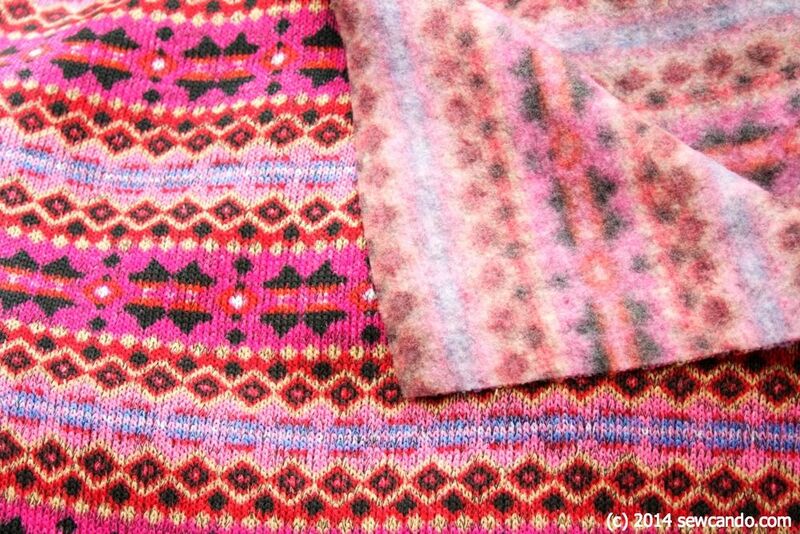 If you know what this fabric is called or where to find it, I'd love to have you share it with us fabric lovers. 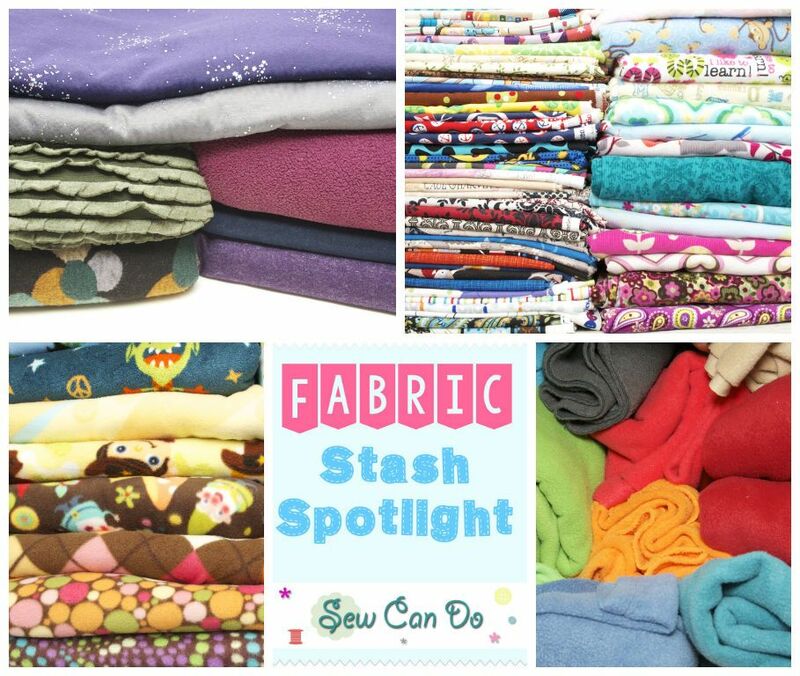 And stay tuned for another installment of Fabric Stash Spotlight next month! I'm going to love this series! There's a g+ community called Stash Detectives- we post mystery stuff & try to source it. They would love this series too!! I had a feeling you would Amy:) And you're right this is perfect for Stash Detectives - I'd love to put them on the case to help solve this one!! Mel this is great, thank you! I'll definitely keep digging. 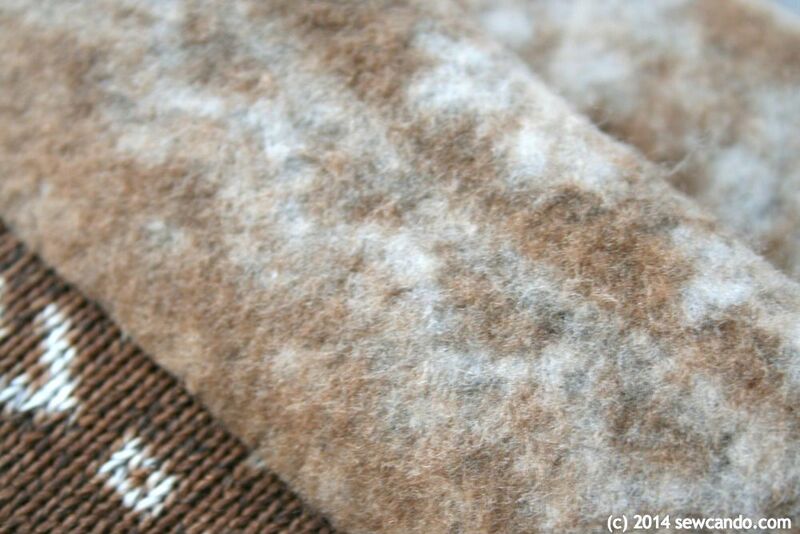 It's such a great fabric, it's worth the search - especially during this frozen winter! These print fleece-back-knit fabrics are really nice, but only solids seem to be readily available here in the States. If you go to Canada again this year, it might be good to stock up on them. I think I'll try that when it warms up a little more!